Garda management has insisted that respecting and protecting human rights is one of the key principles of its policing. 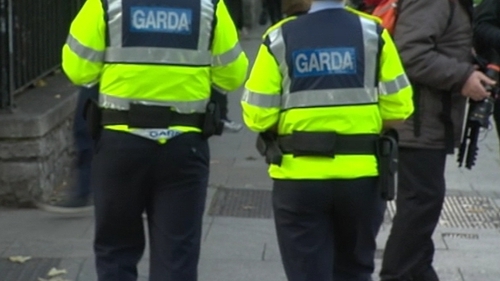 A new report has strongly criticised An Garda Síochána’s approach to policing in several areas including public order policing, the use of force, the detention of suspects, the investigation of hate crime and its dealings with Roma and Travellers. The report by the Irish Council for Civil Liberties has described policy development in these areas as piecemeal, partial in nature or non-existent. It says the garda policing of public protest remains "shrouded in secrecy" and that gardaí seem to use pepper spray much more than other police services, such as the PSNI and Metropolitan Police. However, Deputy Commissioner John Twomey said human rights are a key plank in training and he rejected a claim that the Garda's public order policing is "shrouded in secrecy". The ICCL report says what it calls the "mindset" of An Garda Síochána must change and that gardaí must accept the need for reform and embrace fully the adoption of a human rights-based approach. It says there are significant gaps in garda accountability and oversight of detention and State security. The Policing Authority, the report says, is not currently equipped to monitor effectively the treatment of suspects in custody and it is essential that the Garda Inspectorate be able to make unannounced visits to garda stations. It says the relationship between An Garda Síochána and Travellers and Roma is particularly worrying and requires close attention. The report also describes as disappointing the fact that the code of ethics, which every garda is required to sign, is not a human rights or discipline tool. Hate crime is a priority in the current policing plan but the report found it was not being routinely recorded and there was no evidence that those working within Garda Victim Service Offices had received training on the treatment of victims of hate crime. The report says a new and more radical approach is now required and makes 45 recommendations for organisational and operational change. Speaking on RTÉ's Morning Ireland, the report’s author, human and civil rights expert Alyson Kilpatrick, said there needed to be a "refocus under strong leadership" within An Garda Síochána. Ms Kilpatrick said the force needed to decide what their guiding principles were going to be and it needed to make that clear to the public. She said her examination had not found "obvious breaches" of any human rights but rather she did not find a systematic approach to the protection of human rights. Ms Kilpatrick described as "a missed opportunity" the failure to put human rights at the centre of the code of ethics. She said the code needed "more impact and teeth" and a discipline tool to follow up breaches. Ms Kilpatrick referred to the successes in the PSNI since undertaking a human rights-centric approach to community policing and detention, and added that a multi-layered mechanism exists to ensure safety of persons in detention. She said the fact that no one has statutory responsibility to look at garda detention in the Republic is "a serious oversight" and as a result, it is impossible to say whether suspects are treated well or not "unless and until" a complaint is made. She said the PSNI has built good community relations with sections of the community that were previously closed to the police and these communities could see a human rights approach was there and the police service were there to protect them. As a result, she said the PSNI is being "repaid" by greater community support and confidence-growing. In a statement commenting on the report, Deputy Commissioner Twomey said: "An Garda Síochána will study the recommendations from the ICCL. Any ideas on how An Garda Síochána can strengthen its delivery of a human rights-based policing and security service are always welcome.